Keeping track of various accounts and their associated purchases or orders can be a very cumbersome task for even the smallest of companies. Fortunately, Microsoft makes this manageable but without the right know how it be incredibly difficult to work with. That is precisely why you need to try this accounting ledger template that will make it substantially easier to manage all of your accounts and transactions. This template really will save you hours of time in setup, plus, it will make it significantly easier to track all of your company’s expenses and spending accounts so no more money slips through the cracks. As with most templates available online, this accounting ledger template is completely free to download and use however you see fit. More importantly, the accounting ledger template is easy to work with and easy to change so if you need to add or remove functionality it is just a click away. 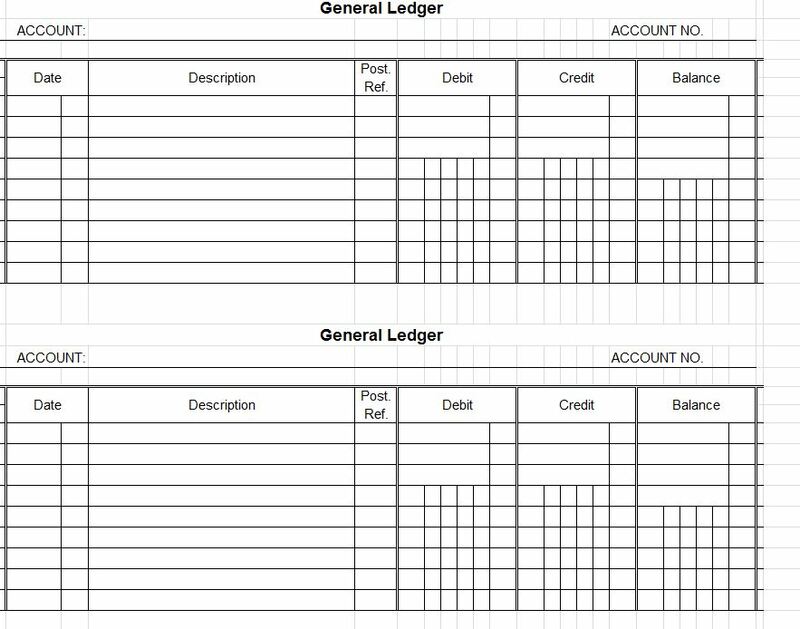 Creating a fully functional accounting ledger like this from scratch could take hours of work to get right so why not just use this pre-made accounting ledger template and save yourself the hassle? Using this template is simple and straightforward; anyone should be able to make it work without having ever even used Excel before. Essentially you can treat it as a worksheet or table and as you begin to enter transactions and account names Access will begin to work its magic in the background. Everything you input will automatically be categorized based on the account you link it to as well as the description, then when you run the reports available all the information will be put together in an easy to understand way. Microsoft Excel can be very confusing at times but it is also an incredibly powerful tool. This accounting ledger template is an absolute must for anyone looking to actually keep track of their various accounts and expenses, plus the preformatted reports that the template can provide are absolutely amazing. The template is free to use, easy to setup, and will save tons of time so it should absolutely be something you take a look at. Thank you, saved me hours of work !! !